Dragons are all around us, it’s just that we can’t see them. Well, we can if we redefine them properly. 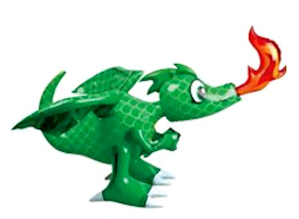 Fire breathing dragons are the hosts of addiction. Yes addiction. And, unfortunately, addiction is all around us. Addiction can take many forms and the most obvious are of course the worst examples. When we discuss the term “alcoholic” in session we have to work hard to eradicate the instant image of someone who is dirty, homeless, toothless and living under a bridge. As one client put it recently, “alcoholism” wears a suit and takes the train to the city every day. Addiction is the term we prefer to use because it has fewer stereotypic images associated with it. And addiction is easier for people to associate to things other than alcohol or drugs; it doesn’t take much to illuminate how behaviors like gambling, shopping, cutting, bulimia and workaholism are all forms of addiction as well. This helps open up space to embrace new definitions of addiction, to make it more personal and easier to relate to for many. Addiction is very gentle and loving at the beginning but it evolves extremely rapidly. Nobody wakes up one day and says to themselves, “I think I’ll become and addict today!” But it happens everyday. If you slow down enough you will see dragons all around you. This entry was posted in Educational, Substance Abuse and tagged addiction, alcoholism, bulimia, dragons, get help, heroin, process, therapy. Bookmark the permalink.